Review, page 2 [click to enlarge]; Note: In the 7th line, the word “also” should be “always.” Oops. 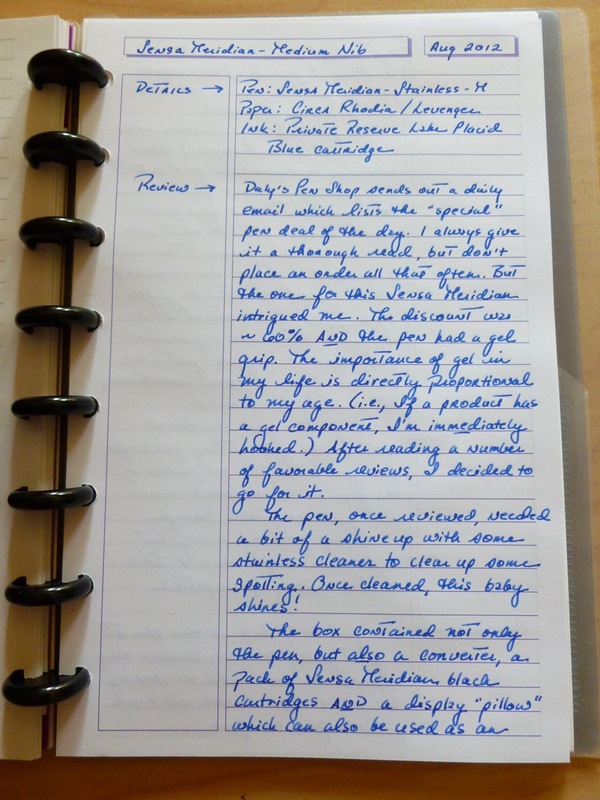 I think the handwritten review pretty much says it all, but in a nutshell, I’m glad that Daly’s Pen Shop sends me their daily “specials” because sometimes you can pick up a real gem at a great price, and this Sensa Meridian falls into that category. 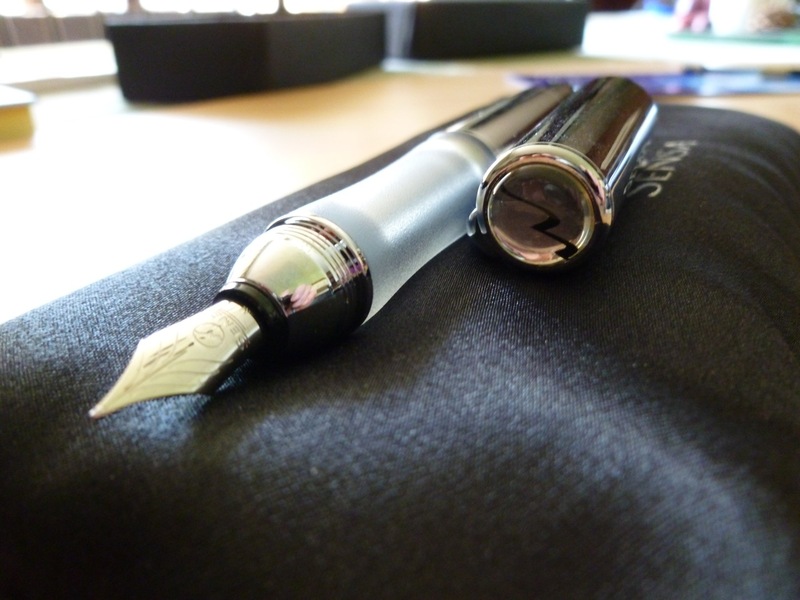 Though the medium nib is much broader than I normally use, it gave me a great excuse to own a medium nib pen. I’m toying with the idea of having it ground to a finer size at some point, but we shall see. 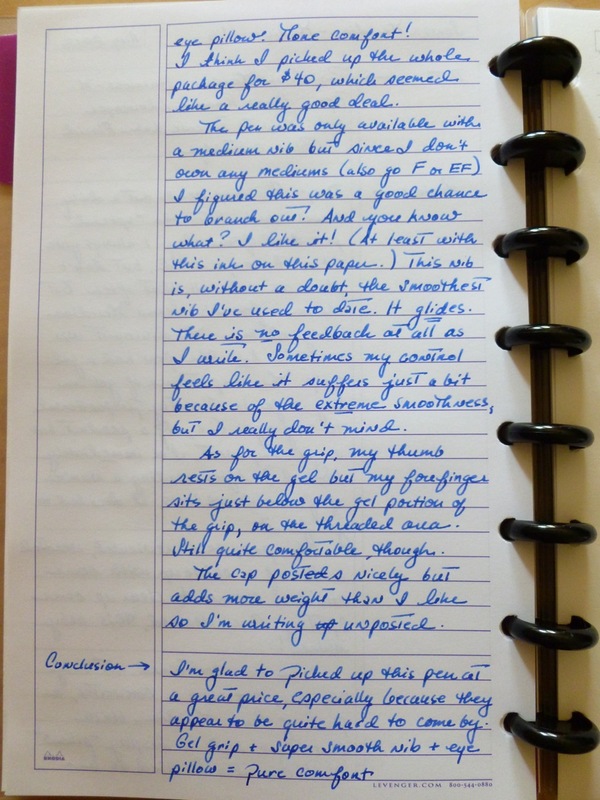 I may just leave it as is and enjoy its “mediumness.” It IS a joy to write with. 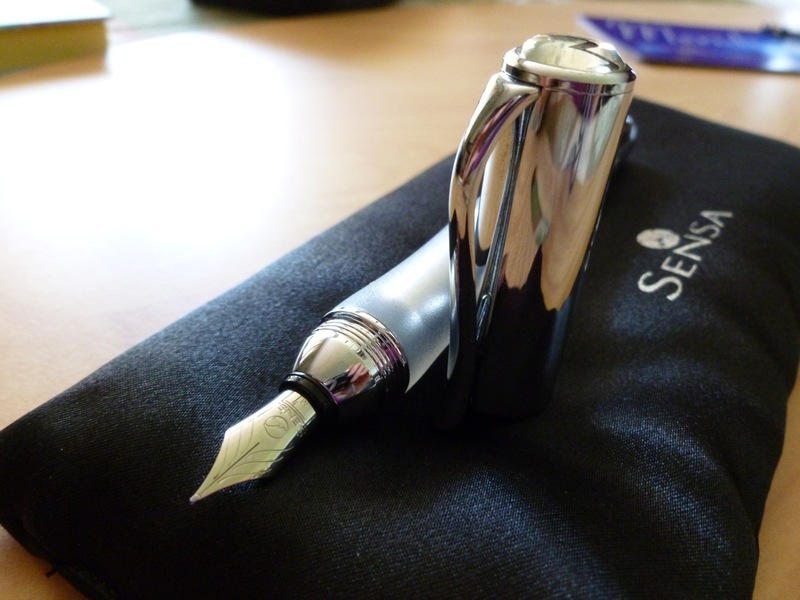 Note that the pen looks pink/purple in the picture, but that’s just because the stainless finish was reflecting the color of my t-shirt. It is a MIRROR. With regard to the eye pillow, the package insert states, “Used on the eyes at room temperature or chilled, your Satin Pillow produces total darkness which far exceeds the 67% of ambient light blocked by the human eyelid, The eye/brain reaction to total darkness is to send a relaxation response throughout the entire body. 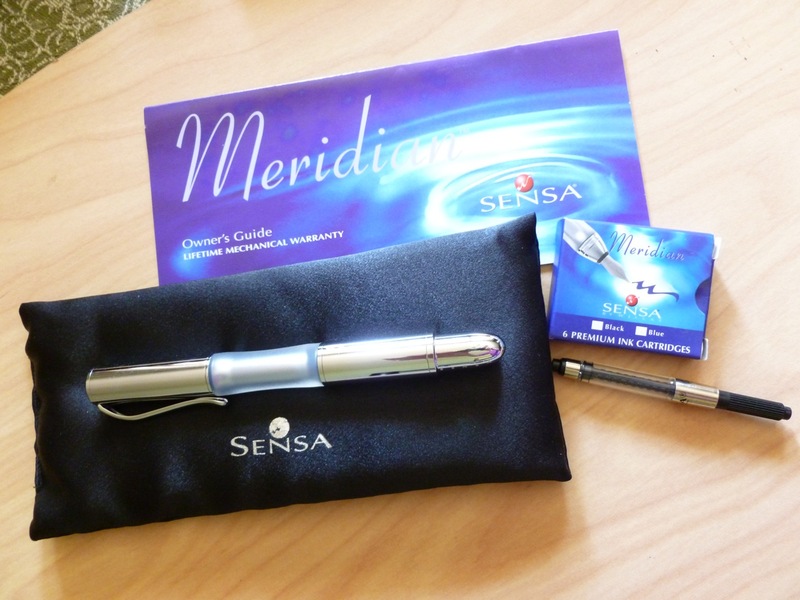 The Sensa Satin Pillow can restore your alertness, strength, and creativity in less than 5 minutes. We hope you enjoy it.” Why, yes…yes, I will! The catch? 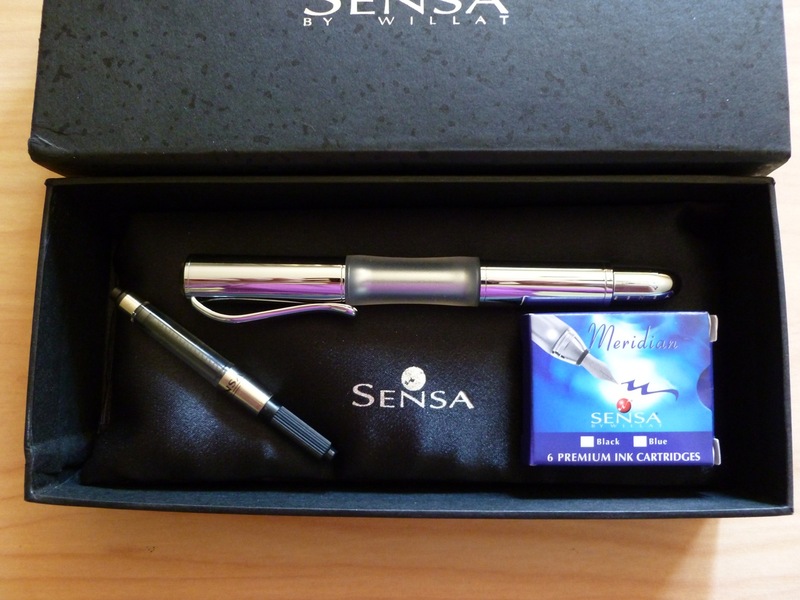 Sensa Meridians appear to be tricky to come by, as I believe the line has been discontinued. Which is a shame, because who doesn’t need a little more comfort in their lives?! And strength. And creativity.